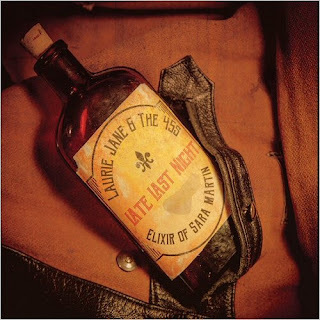 Louisville, Kentucky's Laurie Jane and The 45s find themselves walking new paths that are at the same time as familiar as turning down the street to home on their new release from Down in the Alley Records. Their goal, to revive the work of Louisville's prohibition era blues original, Sara Martin, but not in a purist way. Instead of trying to capture every nuance of music nearly a century old, they reach out to deliver Sara's music in the same way the great British rock bands introduced most of us to the blues. Sara Martin's words ring true through the careful, thoughtful delivery of Laurie Jane's vocals. The band's southern soul shines with layers of rich horns, cascading guitars and their trademark raucous rhythms.